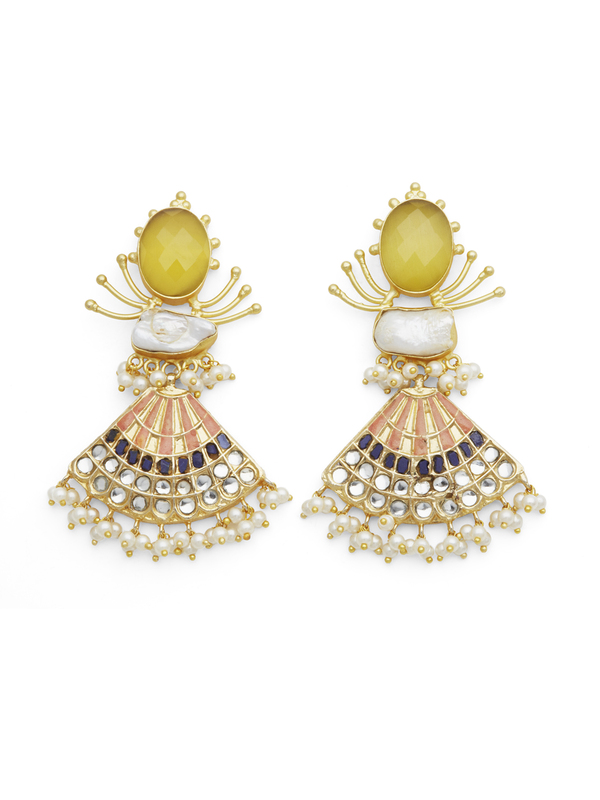 These earrings just makes you want to dance don’t they? Let’s all just jump in the sea and do a little dance ey! 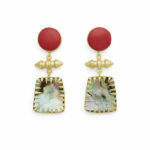 These earrings are gold plated brass with natural pearls in the middle. The yellow stone and the small dangling pearls are man-made. The earrings have been painted with enamel. 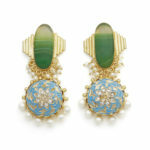 They are handmade in jaipur, India and are for pierced ears. They measure 7 cm long and 3 cm wide at its widest point.